THIS VEHICLE JUST IN!!!!!!! LOADED WITH MANY MANY FEATURES!! MORE TO COME! 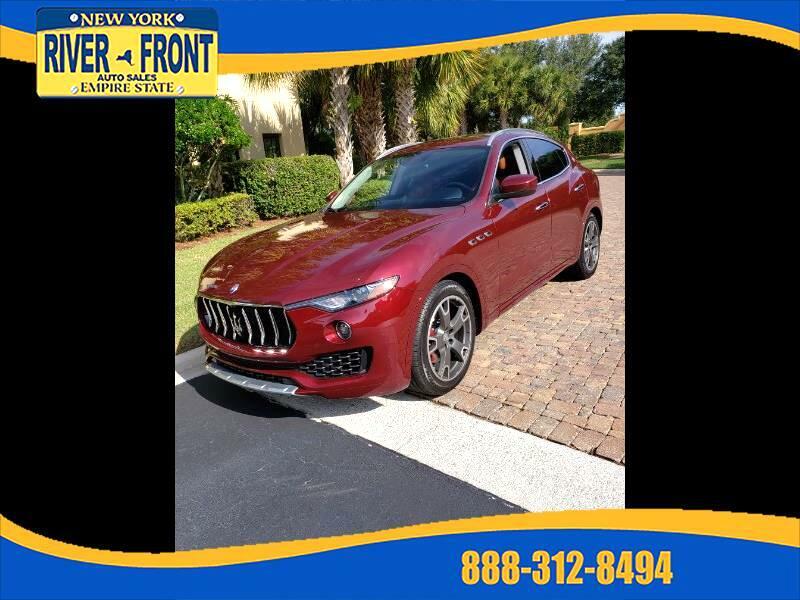 The Maserati Levante is a luxurious crossover SUV that’s offered in two trim levels with ample standard features. The base trim level is outfitted with 19” alloy wheels, LED accent lights, xenon headlamps, heated/powered side mirrors, air suspension system, powered liftgate, selectable ride heights, parking camera with 8.4” touchscreen console, remote entry/start, climate control, tilting and telescoping steering wheel, leather upholstery, heated/powered front seating, GPS, Bluetooth/smartphone/USB integration, and eight-speaker audio system with HD/satellite radio. Options can add features like a panoramic sunroof, upgraded leather seating, paddle shifters, collision mitigation system, painted brake calipers, larger wheels, sport seating, wiper nozzles, chrome or wood exterior trim accents, premium Harman Kardon audio system, and much more. Powering this SUV is an upgradable and turbocharged 3.0-liter V6 engine that makes 345 horsepower and 369 pound-feet of torque. PLUS up to $2,000 reconditioning fees on qualifying vehicles. Sales tax, in your County, title, and tags not included in vehicle prices shown and must be paid by the purchaser. While great effort is made to ensure the accuracy of the information on this site, errors do occur. So please verify information with a custom service representative. This is easily done calling us or visiting us at the dealership.716-886-1626Please visit safercar.org to verify if this car has any open recalls.